Thing 1: why are you dressed as a clown? Thing 2 sprays water from a flower. 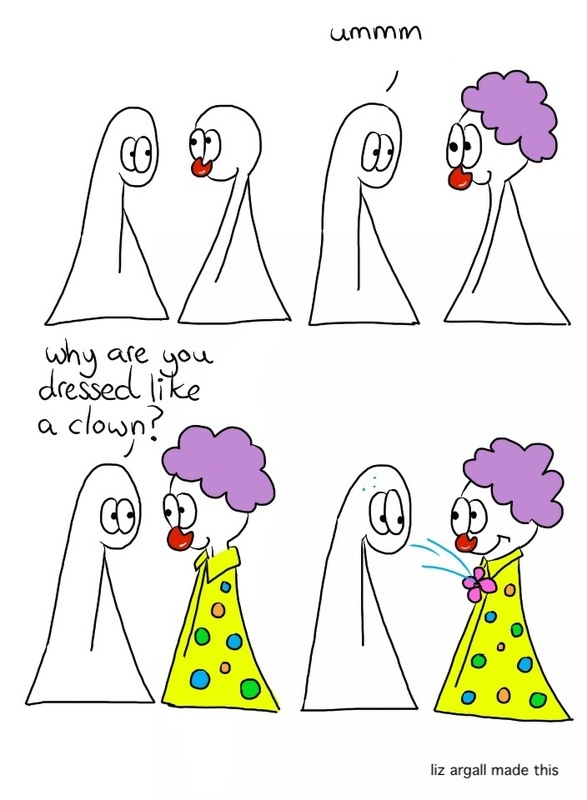 Because clowns make everything more fun!